Is The Whole 30 Diet Program Healthy For Weight Loss? Whole 30 is a popular diet in the health and weight loss industry. It's designed to be an elimination diet, to reduce the consumption of inflammatory and damaging foods and help you learn how to eat for your body. In theory, can improve your health and weight loss efforts. While it has helped countless people and has good intentions, it can still be harmful in many ways and isn't for everyone. Many its benefits are not Whole 30 specific and can be achieved in other ways. It's a glorified elimination diet, which is commonly used in the medical field, that consists of a list of foods and ingredients to eliminate from your diet for 30 days. These foods are then reintroduced slowly to see how your body tolerates them or reacts. From there, you can figure out what foods to keep out of your diet long term, which allows the body to heal damage and reduce the inflammatory response contributing to or causing your symptoms and/or condition. Whole 30 restricts dairy, grains (including gluten), legumes (beans), sugar and sweeteners and many food additives. This removes many processed and junk foods and replaces them with nourishing, whole foods. A Whole 30 compliant diet consists of real, whole and unprocessed foods (although they don’t have to be high quality (organic, pastured meats, wild seafood) to be compliant & many food companies have developed packaged and convenient foods that are compliant but not the best quality). Overall, since common low quality foods (fried, processed or containing food additives, sweeteners, sugar) are eliminated, it forces you to eat clean. Whole and unprocessed foods have powerful healing properties. A reason why this diet works for so many people is because many low quality and irritating foods are removed and replaced with whole, nourishing, anti-inflammatory foods. The Whole 30 brand has expanded the reach of knowledge that food and health are closely connected. Food allergies and sensitivities are a growing issue that is highly individual. Whole 30 helps you identify foods and ingredients that your body reacts to within our food system. Being intuitive is an amazing skill, but people often find it difficult to tap into. 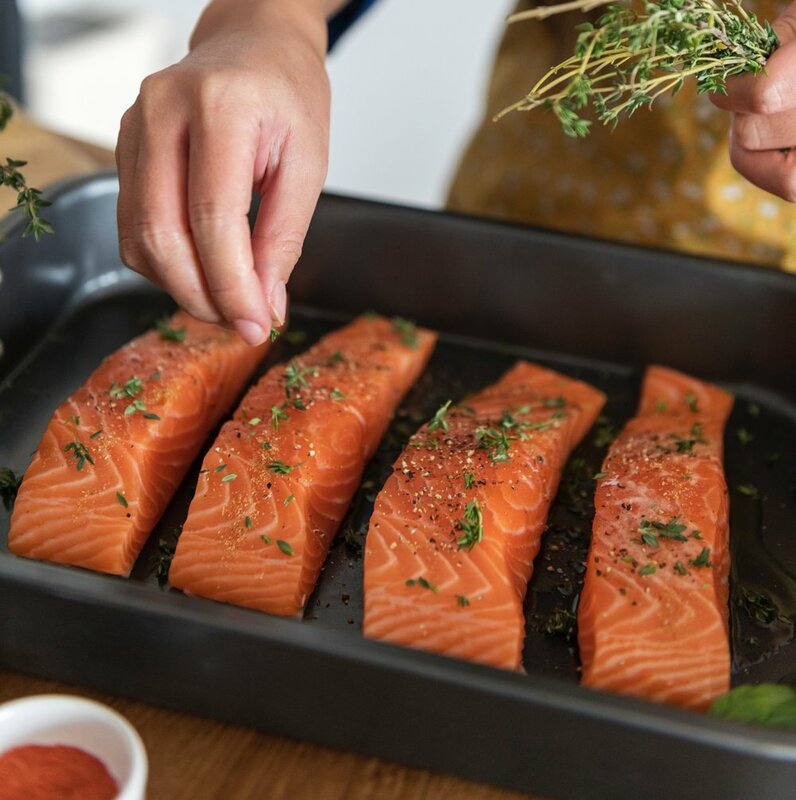 Elimination diets, like Whole 30, help develop intuitive eating by connecting food and your body by paying close attention to how your body feels through diet changes. It’s a way to eat more mindfully and improve your relationship with food. Anything that helps people get in the kitchen and make more of their meals from scratch is a positive influence. This way you can control the amount of oils and salt and the cooking methods used and the quality of your ingredients. Whole 30 has a way of making people feel empowered about self-healing and motivated to make diet changes. It might not be the easiest to stick with and can test your willpower, but it has also effectively helped countless people improve their health and wellbeing, learn about what is in their food and stick to a healthier and clean diet. There’s an abundance of resources online that advocate the Whole 30 diet and highlight its benefits, but I rarely see the negatives discussed. It’s more popular than ever, with a growing number of restaurants, food brands and people endorsing it. Though, it’s important to understand all angles before trying it; below are its downsides. There are a couple of books that go along with Whole 30 that include information about food and health. Though, this information is convincing but sometimes misleading. Based on experience and reviewing evidence for both sides, I agree that the food additives eliminated in Whole 30 are unhealthy for everyone, but I don't agree that dairy, grains and legumes are unhealthy. I believe the opposite, that these foods provide important nutrition and can promote health. Rather than eliminating these major foods, you can instead make sure to choose high quality types and use proper portions within a varied diet. If your main sources of carbs are cereal, bread and pasta, then you simply need to replace these with more variety of carbs including whole grains, beans and starchy vegetables to fulfill the carbohydrates in your diet. U.S. News ranks popular diets each year based on evidence and expert insight. Whole 30 is rated number 38 of the 41 diets examined. Diets that ranked at the top are the Mediterranean Diet, Dash Diet, Volumetrics and Flexitarian diets, which are all based on less restriction and emphasize whole, unprocessed foods including the high fiber carbohydrates that are eliminated in Whole 30. The healthiest diets have an abundance of high fiber foods, which include whole grains, beans, nuts and starchy vegetables. When you remove dairy, grains and beans from the diet, it leaves vegetables, fruits, nuts, meats and seafood. This style of eating lacks variety, but is also meat dominant, which is dense in protein and fat. In moderation, meats fit into a healthy diet, but when you over consume them, you risk eating too much protein, saturated fat and cholesterol. If the meats aren’t high quality (organic, pastured) and are instead conventionally (factory) raised, then they’re considerably inflammatory themselves; which is counter productive. I frequently see people doing Whole 30 who don’t understand its purpose and are misusing it. They might do Whole 60, Whole 90 and do multiple rounds a year (as a way to get back on track). When you follow the Whole 30 eating recommendations for longer than intended, your body misses out on healthy and varied sources of fiber, protein, carbohydrates and calories. It’s also a major test of willpower and mentally taxing. People tend to also pulse it through the year, switching between periods of off and on diet, which is yo-yo dieting. Whole 30 has an endpoint on purpose, because of how it’s intended as a one time, short term program. For people who have dieted in the past and struggle to keep the weight off, the marketing and culture around this diet can be detrimental. It shouldn’t be used as a weight loss plan because it perpetuates the yo-yo diet mentality. A healthy diet and lifestyle shouldn’t feel like a constant battle between your willpower and eating habits. It’s supposed to feel enjoyable, satisfying and less stressful. You can still indulge and eat flavorful and fulfilling foods while eating healthy. Whole 30 is restrictive and doesn’t allow for much variety, indulging, flexibility or balance, which makes it feel unenjoyable, and therefore difficult to stick with long term. If you have food sensitivities or intolerances, it’s generally one or two foods. If you get positive results on Whole 30, it’s hard to know exactly why. Is it because you eliminated low quality and processed foods, food additives, alcohol, sugar, grains, gluten, legumes, or dairy? You can learn the answers during the reintroduction phase, but it’s so rare that people do this effectively or even make it to this point. It takes time and patience, and typically by that point people are ready to go back to their normal life. If you do make it to this point, and find the food group you’re reacting to, is it every food in that category or just one? If you find that grains bother you, it’s likely not all grains. And it might also be the gluten, a certain type of complex carbohydrate, the fact that you eat too many in one sitting, not enough variety, imbalanced gut bacteria or poor quality types. It’s not always simple. I’m personally sensitive to chicken (even organic, pastured!) and need to avoid it or else I’ll get eczema on my hands. If I had done Whole 30, I wouldn’t have figured this out since chicken is compliant. If I had done a vegan diet, my symptoms would have improved but I might have assumed Id have to avoid all animal products to manage my eczema, when it’s only chicken. There are various ‘life after Whole 30’ forums and blogs out there because people have a difficult time figuring out how to maintain results. This is true after any diet though and Whole 30, is no exception. Many people who successfully complete Whole 30, often return back to their old habits and lose whatever result they’d gained. Rather than putting yourself in that situation, it helps to lose weight and improve your health using sustainable approaches. Whole 30 is like running a marathon and for people who might be in the beginning stages of eating healthier, it’s intense to start with. You might feel that if you can't stick to a diet, you've failed and return to your normal way of eating. But, you wouldn’t feel like a failure if you couldn’t run a marathon after never being a runner. You’d instead start with walking, then jogging short distances and work up to a marathon. The same approach relates to healthy eating habits. The all or nothing mindset (either running a marathon or not doing anything) is a barrier to success, because you’re either striving for perfection (which is unattainable) or not making improvements and remain stuck. Instead of biting off more than you can chew from the start, meet yourself half way and take a slower, less restrictive approach. It’s so much easier to succeed if you make better choices some of the time, than every single time, or reduce consumption of one type of food at a time. All in all, It’s challenging, mentally and physically, to achieve lasting results with Whole 30. If your goal is to improve your health and/or lose weight as well as form healthy habits that you can stick to, it's probably best for you to avoid this diet. There are other ways to do an elimination diet, which depend on the person, goals and severity of symptoms/condition. Whole 30 might be warranted for people who have more advanced chronic symptoms and disease, who can handle this level of restriction in their diet and who understand how to use it correctly. I also think it’s easier, and less stressful, to follow this type of restrictive diet when you already eat clean and low sugar. My recommendations for healthy diet change, is to clean up the diet and reduce low quality and indulgent foods first, then optimize (through an elimination diet and a variety of other ways), rather than try to do everything at once in a short time frame. If you’re looking for an elimination diet, you have a couple of options. Whole 30 saves time, by eliminating many things at once. But if this kind of restriction isn’t your thing, you can choose to cut out one or two foods at a time. Also, you can get a food allergy test. Allergies and sensitivities/intolerances are different, but you could have a food allergy you don’t know about contributing to symptoms. To avoid an elimination diet altogether, and to also have a more comprehensive approach, you can keep a food and symptom journal for 2-4 weeks. This will often reveal irritating foods without restricting foods you tolerate (this is the method worked for me to correlate chicken with my eczema!). If you’re looking for a healthy weight loss approach that isn’t restrictive, this guide, will help. It includes a nourishing, flavorful and clean weekday meal plan with prep tips! You can enjoy what you eat while getting results at the same time!